The web interface shows statistics like speed, accuracy and time per session. If you want to keep track of your progress over chapters and lessons, you can create a free account in Kinige. 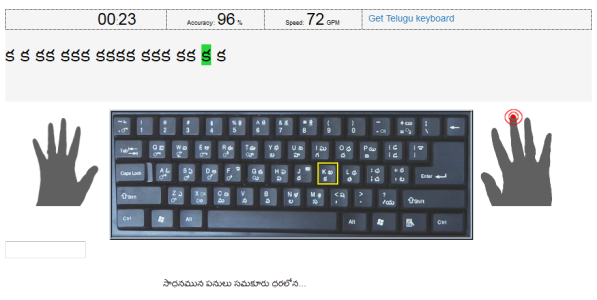 I hope this would help more people learn InScript and enjoy faster Telugu typing.